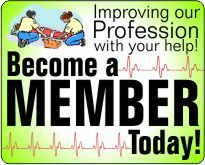 The Kansas Emergency Medical Technicians Association (KEMTA) has a long history dating back to the early 1970's when the organization began at the Kansas Ambulance & Rescue Association (KARA) with Larry Joy as the first President in 1973. KARA continued until 1978 when the organization underwent a change and became known as KEMTA with Jim Emrick serving the first two-year term as President of the new organization. KEMTA continues this tradition today as the longest active EMS association in Kansas. 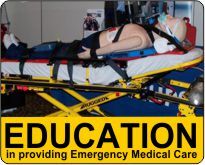 The organization strives to provide EMS providers throughout Kansas with quality education and representation with the common goal of serving our fellow human beings in their time of need. Working together we are improving our profession in all aspects by sharing our problems, successes, and new ideas. KS Emergency Medical Services Assoc.